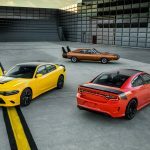 At the same time were revealed two legendary Mopars. 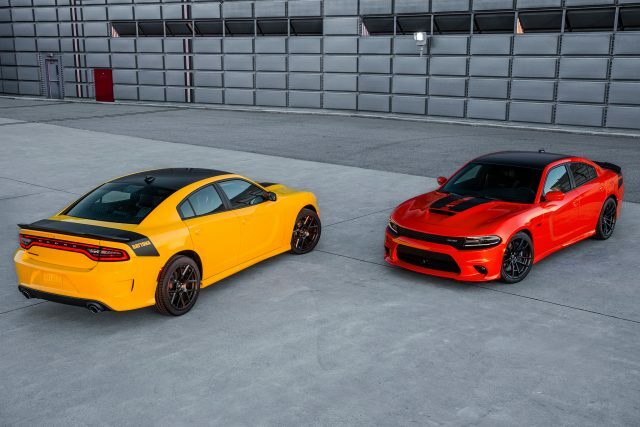 One of them is the new 2017 Dodge Charger Daytona. 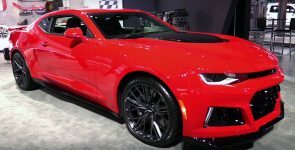 The iconic model which back in the 70’s was the synonym for power. 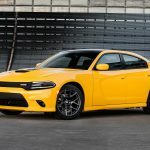 Today we have this new Charger Daytona which will come in two versions Top Banana Yellow 5.7 liter Hemi and more powerful Go Mango 6.4 liter Hemi version. 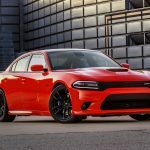 This new 2017 Dodge Charger Daytona it has more equipment than the R/T Plus, but less than the Hellcat model. 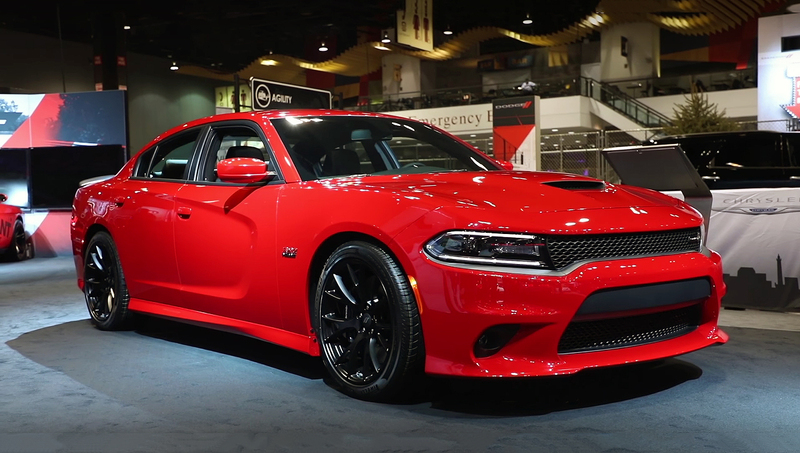 It cost $3000 more than the R/T Plus model, but you get a lot more, which includes full SRT package: functional Mopar cold air intake hood scoop, front end, rear end and side sills. 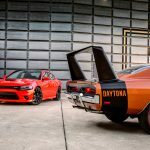 The “Hemi” on the hood and “Daytona” graphics on the rear quarter-panels are standard label on both Daytona’s. 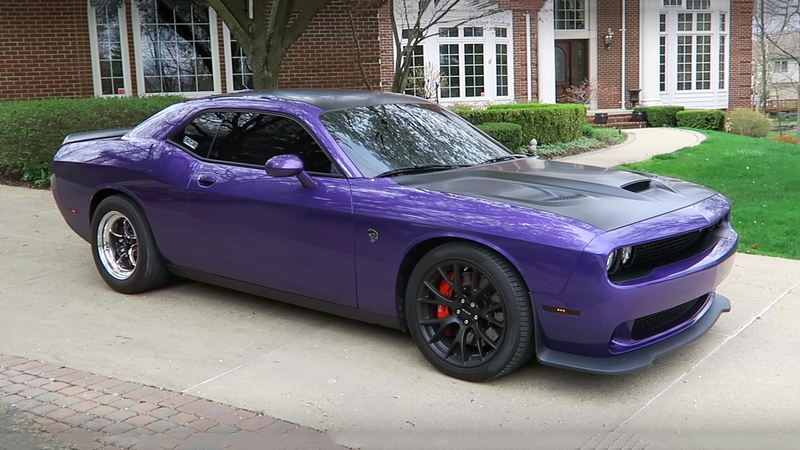 Also the interior is equipped with SRT package. 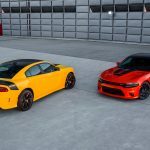 The 2017 Dodge Charger Daytona will be powered by the basic Chrysler’s 345 cubic-inch, 5.7 liter HEMI small-block V8 engine, factory rated at 375 horsepower and 410 lb. 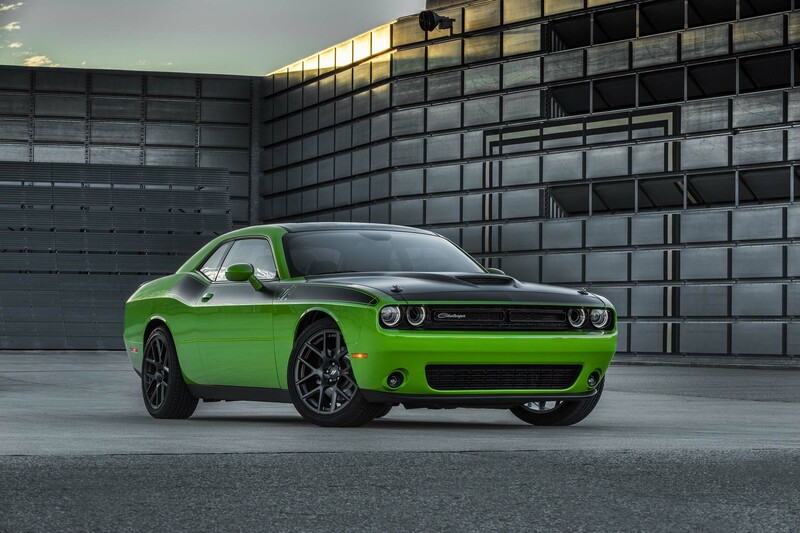 -ft. of torque. 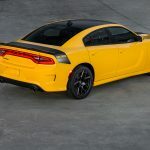 The more powerful option is the Chrysler’s 392 cubic-inch, 6.4 liter small-block SRT HEMI V8 engine, rated at 485 horsepower and 475 lb.-ft. of torque. 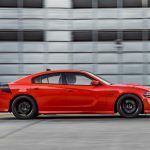 The 392 SRT Hemi version will have Hellcat vented rotors with six-piston Brembo high performance brakes, Hellcat 20-inch lightweight forged aluminum wheels wrapped with Pirelli P-Zero Nero tires. 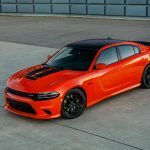 The price for the 392 is under $45,000 and orders can start from September or October this year.